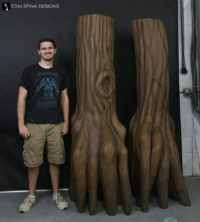 A pair of custom carved foam swamp tree props created to add theming to a photo booth backdrop. 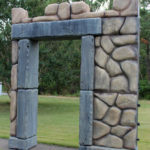 We were contacted by a client that was trying to bring a little more life and dimension to a convention photo op with printed backdrop by adding some custom carved foam tree props. 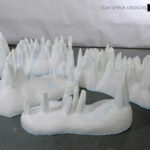 They already had a printed photo backdrop and asked us to create a pair of foam tree props for them. We began by sketching out several different designs, and working closely with our client. 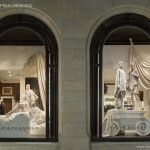 We also used their background image to inspire the style of the tress so the props and backdrop would blend together. 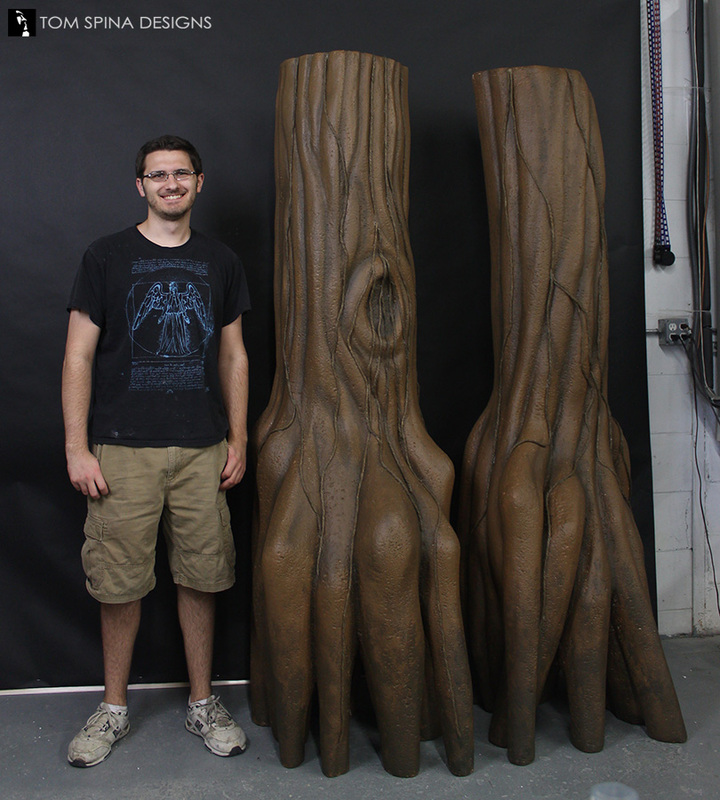 Once the design for the tree sculptures were finalized, the sculpting process began. 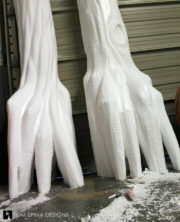 Steven Richter sketched out the basic shapes of the tree trunks onto very large blocks of EPS styrofoam. 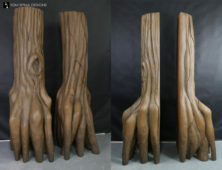 Steve used several techniques to get the natural forms and feel of gnarled trees growing in the swamp. Once the shapes were carved out with rasps and hot-wire tools, Patrick Louie went in and sanded and detailed the tree props. 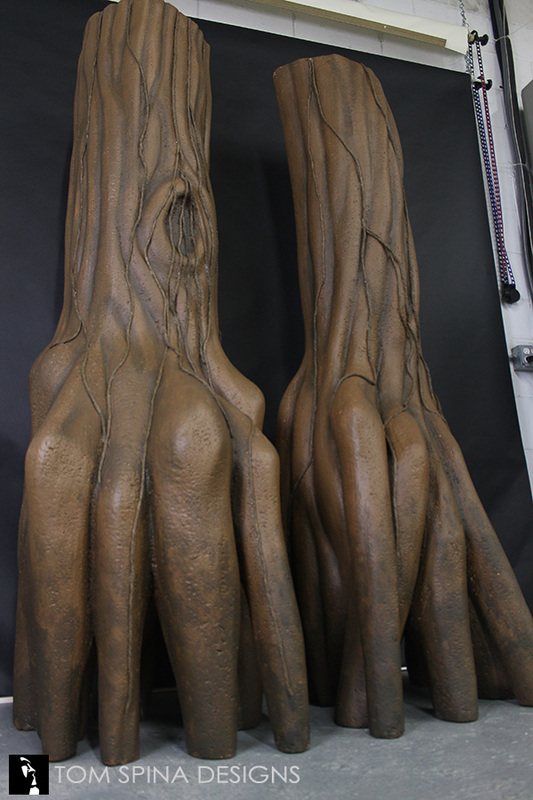 The resulting foam prop has the feel of a real tree trunk with tall, winding roots, fit for any swamp of forest! 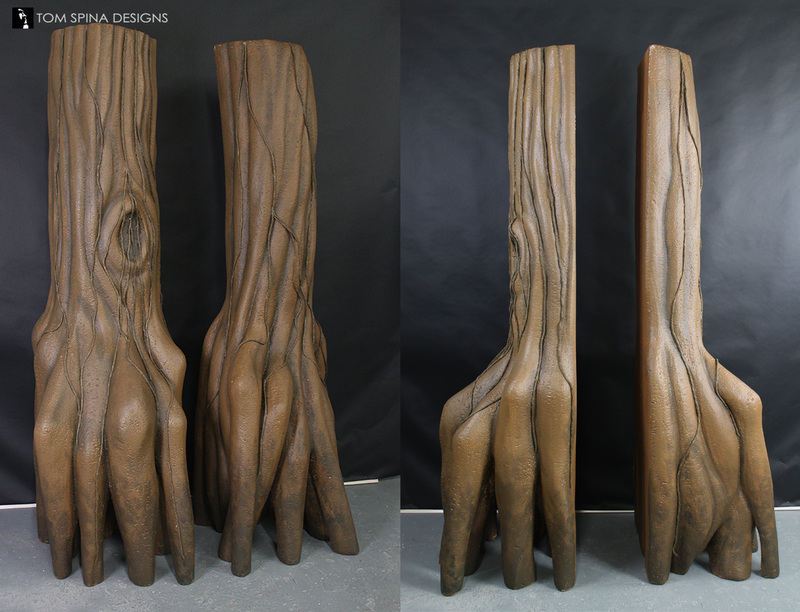 With the shapes carved out, Pat then gave both trees a spray hard coating to add texture but more importantly stability and durability. 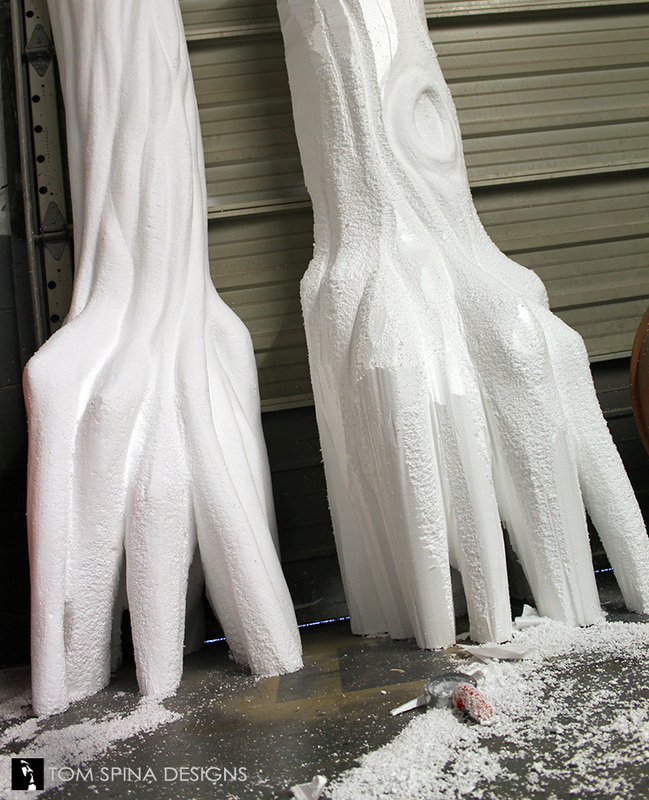 Especially with these trees being within reach of the public in a photo booth, the hard coating was very important to help it stand up to a large amount of people touching the props. 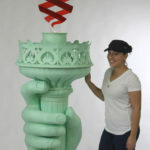 Melissa Ocampo then stepped in and finished off the large scale props with a realistic paint scheme. She also added climbing vines over the pieces for a extra detail and to add even more dimension. The final products are lightweight and realistic recreations that looked great at our client’s booth! 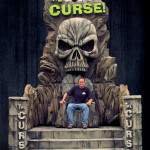 Want to bring a little more theming to your home, event, business, or trade show booth? Email or call today and let’s discuss your project!